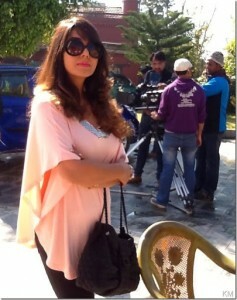 Following are a few photos taken during the shooting of a television commercial (TVC) of IGT Gas Regulator. The TVC also features a dog named Bruno. 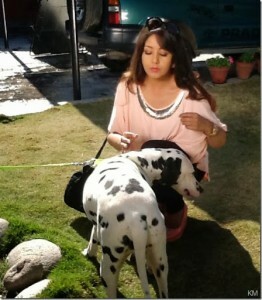 Karishma is known for being a dog lover. She also liked Bruno very much.